The temple of Ziazan hosted a tournament once every thirteen years. It was an exclusive event, where only proven Royal Champions of the previous twelve tournaments were invited to compete. To the winner went fortune, title, eternal glory, and above all, admittance to the Kalian Defendant Team. In the history of this sacred event, only one man had ever won all thirteen of these tournaments. After today, there would be another. The crowd gathered to witness the impending fight was larger than any had ever seen. People swarmed, crushing themselves against the bodies of others in hopes of gaining even the slightest glimpse of what was sure to be the fight of the century. In the top level boxes reserved for those of royal and temple status, there was not an empty seat. Every defendant, temple master, high-ranking student, lord and lady had gathered for this event. Seated across from the tournament mats in an isolated box set slightly higher than most of the crowd, sat King Nicholas Dektra, dressed in satin robes of deep crimson along with his eldest son, Crown Prince Darek. To their left in matching robes of gold sat High Priest Seth, Lord of the Kalian Temples and spiritual leader to the Gods along with Master Michael, Master of Kale and a former Golden Defendant. A sense of anticipation filled the air and all seemed to be holding their breath waiting for the final match to begin. Lady Annabelle had just been defeated by both of the champions who were preparing to face off, taking her place as the third best fighter and highest ranking woman in the land. Now all that remained was to see which of the remaining two fighters would win the title Champion of the Kalian Temples. Normal tournaments were fought in pairs, two on two. However, at the thirteenth tournament, teams disappeared and partnerships dissolved, each man fighting one on one to prove himself worthy of being call the greatest fighter in the land. Lord Leonardo and Prince Eadmund of Kale had been partners for over fifteen years. Today, for the first time, they would face each other on the temple mats and at long last, discover who was the best. Down a dark marble hallway, standing in front of a silver mirror, stood Lord Leonardo Desato. His blond hair was cut short and his jade green eyes seemed darker than normal in the dim light of the borrowed bedroom. He was dressed in long satin pants and a long sleeve shirt also of satin. The sleeves were cinched tightly at his wrists but remained loose and comfortable along his arms. The material was designed in elaborate circles of gold, silver, red, pink, black, yellow, green, blue, white, purple and then back to gold, swirling around him with all the colors of the Kalian Temples. All Royal Champions invited to compete in this monumental event had worn the same. Prince Eadmund stood before a similar mirror, buttoning the last of his sleeves to his pale wrists. His height a few inches over six feet, the prince stood at an exact match to his long-time partner. Eadmund’s deep-set blue eyes appeared sapphire in firelight. His brown hair, usually kept long, had been cut close for this occasion, and his usual silver robes were discarded for the rainbow status of his Royal Championship rank. Eadmund was grateful for the respite that had been granted after his last fight with Lady Annabelle. 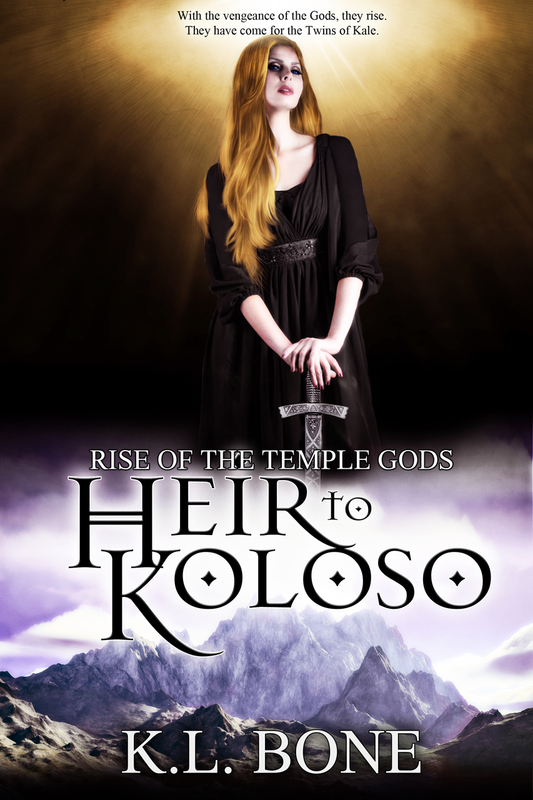 The former golden student of Koloso had proven herself more than worthy of the fierce reputation which had preceded her. Three years older than the prince, Lady Annabelle had left the tournament a year before Leo and Eadmund had entered, taking her place on the Defendant Team where she now served. It was both champions’ hope that after this fight, they would also be offered placement upon this most coveted of teams. “Very true.” Eadmund gave a slight laugh. “Yes. I suppose we should be heading that way.” The two men’s gazes met. “No matter what happens,” Leo began.